Self-storage owners in need of financing are in a position to take advantage of an extremely healthy industry with an excellent reputation among lenders. Very attractive options are available. 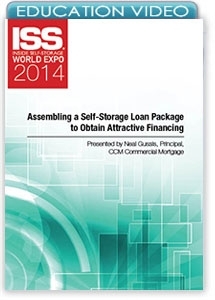 Understand how to prepare a loan-request package that will be positively received by lenders. This session will provide an overview and perspective on the best way to approach lenders for a new loan and how to structure the request to meet your investment goals.